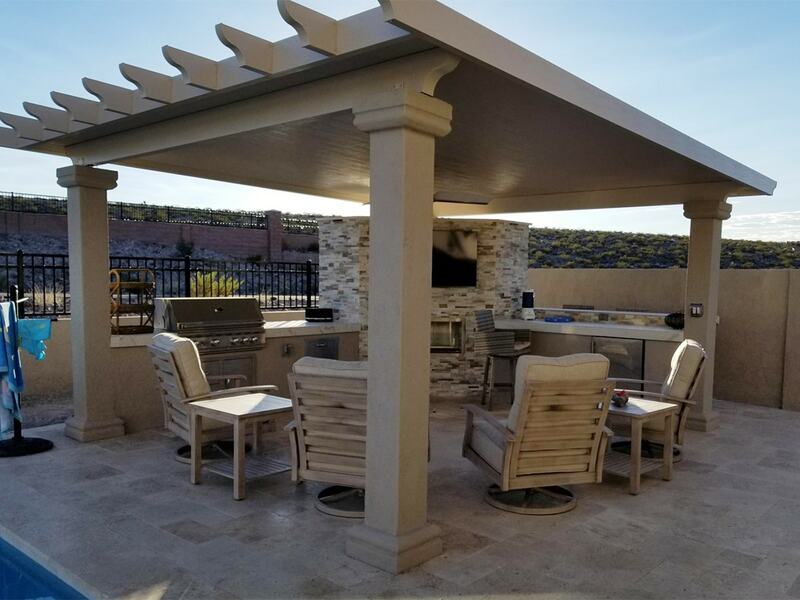 Home Impressions Inc. is your one-stop shop for shade solutions in Las Vegas. 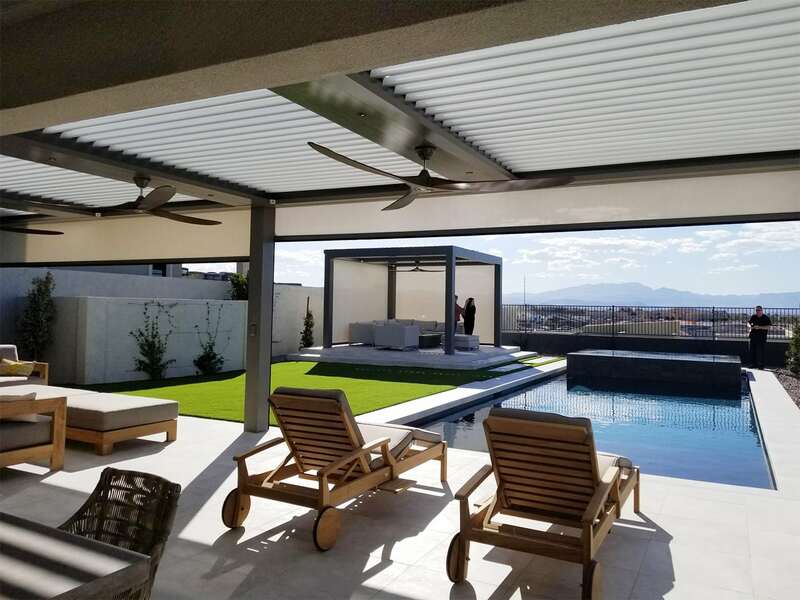 Other companies in the Las Vegas area offer only interior window treatments or exterior shade solutions like solid patio covers or pergolas. At Home Impressions Inc., we bring you all of the above. 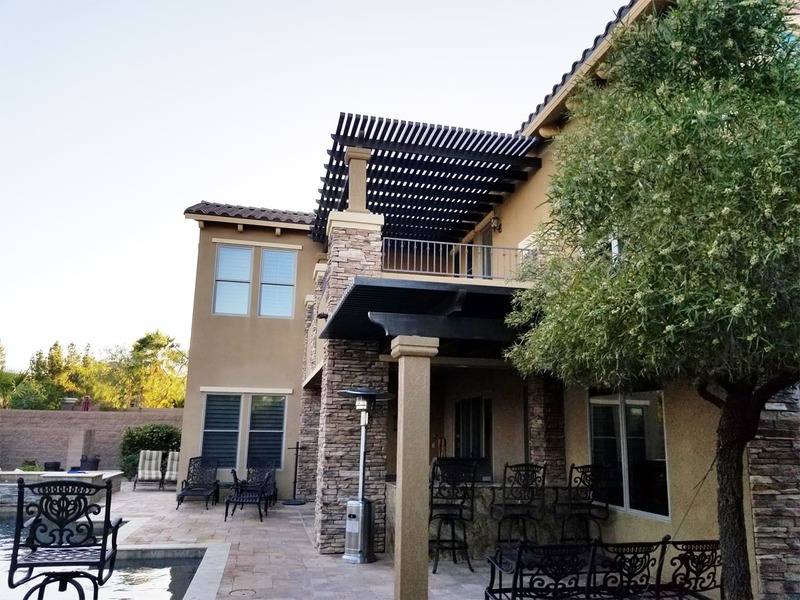 We understand the unique ways different exterior sun shades can impact interior light and energy efficiency, and we’ll help you understand all of your different options for attractive window coverings and outdoor shades. Whether that means motorized drop shades for your patio or Roman shades for your living room, our team is here to help. Don’t get only half the story elsewhere! 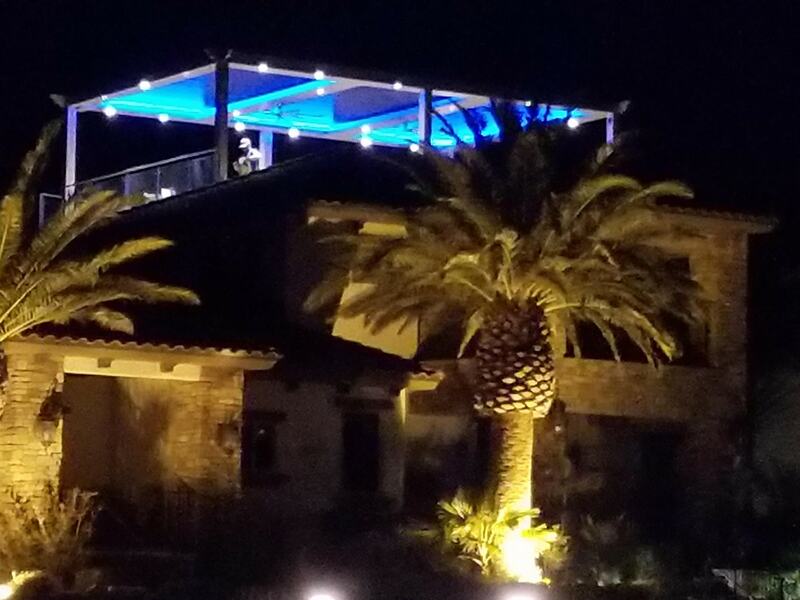 Call Home Impressions Inc. for the full picture on motorized pergolas, plantation shutters, window shades, and so much more. We’re truly your one-stop shop. These guys can do anything for your window (except for the glass). They have so many products available it would be impossible not to find something you like. I particularly like all of the technology that they have integrated into their products. I would recommend Donnie Cox and Home Impressions for any of your window treatment needs. Call Donnie and Patricia if your windows need personality! They offer many products and if you are looking for something more creative, Patricia can design it! They have great prices and their installers do an amazing job. If you can imagine it, they can create it. I’m most impressed with their automated products and the window tint which helps lower power bills. Home Impressions created my custom home to be warm and inviting. Patricia not only supported me in choosing my window coverings she gave me awesome tips on matching colors, designs and textures. I highly recommend Home Impressions to everyone. She made my experience so easy and I was beyond excited with the results. Everything I wanted. I wish you continued success! 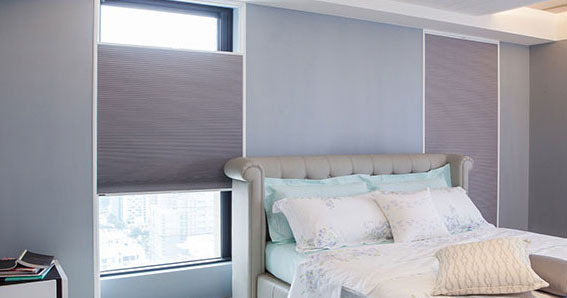 At Home Impressions Inc., we offer a full selection of window treatments from vertical blinds to window shutters. We have a great range of styles for just about any budget and any home or business, and our specialists are here to help you find the horizontal blinds, plantation shutters, or cellular shades that are best for you. 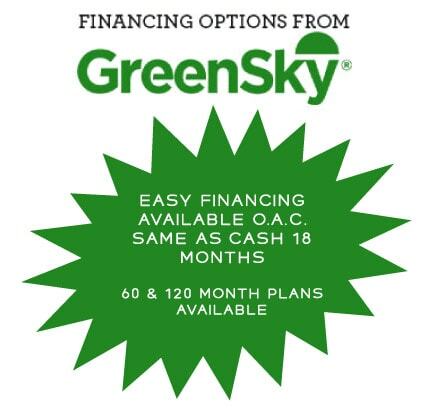 We also offer energy-efficient window shades and solar screens to save you loads of money in the long run! For your convenience, Home Impressions Inc. offers complementary estimates. We bring the showroom to you to help you in selecting the right window coverings to meet all your needs.